BUCS: Blount 13-55, Freeman 6-27, C.Williams 4-19. RAVENS: Rice 20-85, McGahee 3-9, Flacco 3-(-2). BUCS: C.Williams 5-41, Winslow 4-44, Benn 3-9, M.Williams 2-20, Gilmore 1-30, Purvis 1-12, Spurlock 1-6. 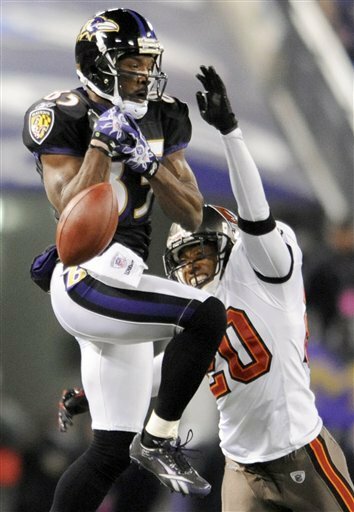 RAVENS: Mason 8-87, Rice 7-47, Boldin 3-27, McGahee 3-13, Heap 2-79, Houshmandzadeh 2-36. RAVENS: Reed 2-50, Carr 1-14. RAVENS: Webb 3-20, Reed 1-0. 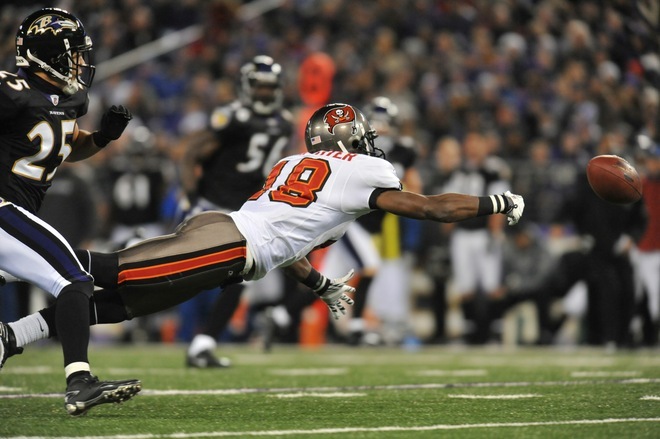 BUCS: McCoy 2-17, Jones 1-10, Crowder 1-5.